USD has been stable for some time with a slight growth. Still there is no news regarding the Fed rate hike. 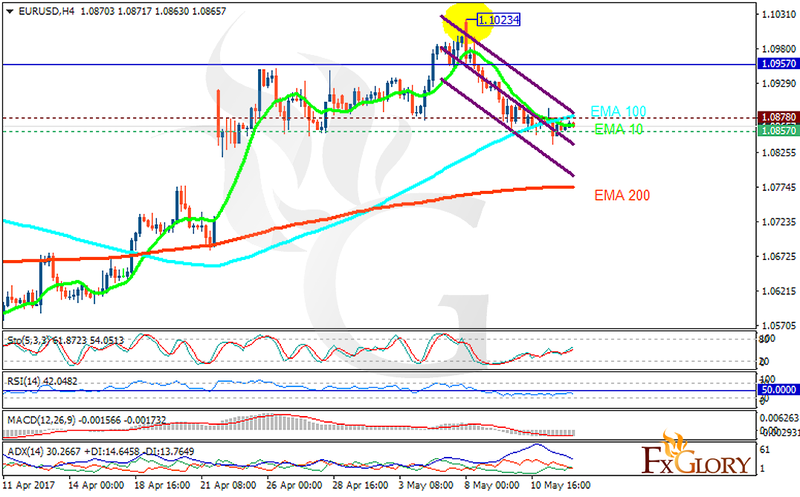 The support rests at 1.08570 with resistance at 1.08780 which both lines are below the weekly pivot point at 1.09570. The EMA of 10 is moving with bearish bias along the descendant channel and it has passed the EMA of 100 and they are both above the EMA of 200. The RSI is moving horizontally below the 50 level, the Stochastic is showing upward momentum and the MACD indicator is in negative territory. The ADX is not showing any clear signals. The fluctuation will continue within the support and resistance area with a slight decline.